The concept of co-living isn’t new despite the exploding popularity. It’s springing up in major “work” cities around the U.S. like Washington D.C., New York and San Francisco but co-living knows no borders. It’s becoming a necessity for some, a way of life for others. And for entrepreneurs they’ve found a way to transform this growing trend into a booming business. The simplest definition is that it’s a group of people, generally unrelated, who share a living space. Get a few people together and you’ve got roommates in a home. Get a ton of people together and you’ve a dorm. Co-living exists somewhere in between, in a new category that’s not just communal living. 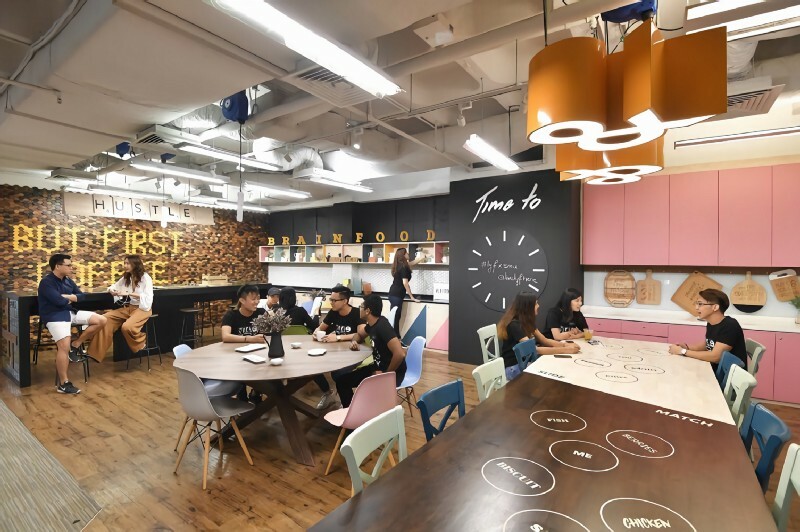 The dorm-style housing being developed by startups has a volume of shared spaces including co-working areas, expansive dining space for residents to eat together. The ultimate goal for some of the entrepreneurs creating these spaces is to reinvent living spaces that bring a variety of urban dwellers together under one roof. And they’re not necessarily centered on building the next Facebook, such as when Mark Zuckerberg rented a 5-bedroom house in Palo Alto in the earliest days of developing and building Facebook. Instead, they’re looking to become a member of a high energy environment that’s more like a community than a communal living space. And, what’s interesting enough about the nature of these new community living spaces is that singles and professionals often aim for these types of living situations in an effort to save money. 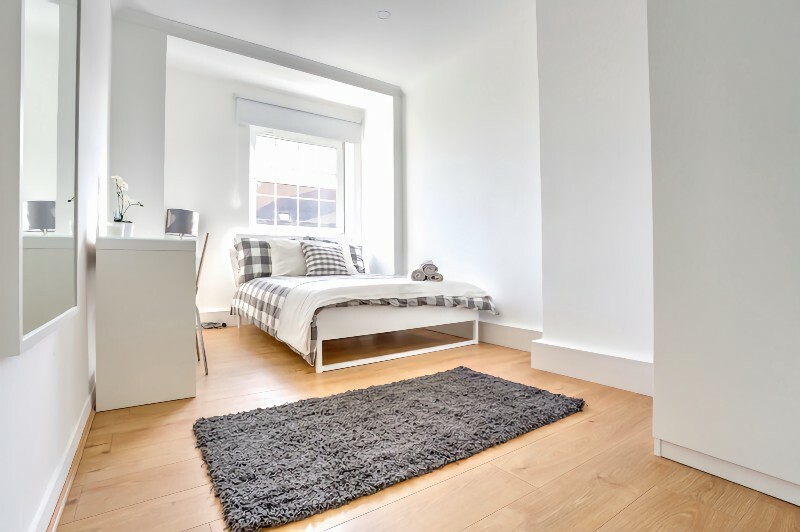 With co-living, prospective residents will typically find themselves on wait lists and paying a premium for the opportunity to live in the dorm-style spaces. OpenDoor has an 800+ waiting list in the Bay Area alone, as individuals are looking for a more pleasurable living experience for a similar, or lower price. Despite a premium to be paid and a wait list for co-living communities there’s a distinct draw, especially for millennials seeking to be a part of something. A well- constructed co-living space is like a beehive ecosystem. One of the largest draws for people is a desire for what the Dutch call gezellig (pronounced heh-sell-ick). It’s that feeling of being in a comforting atmosphere. We may have more ways than ever to connect with other people but despite all our connections and social networks people are lonelier than ever before. Co-living gives people the ability to thrive in private while also providing residents to meet new people and share life experiences with one another. Micah and Dianna Baylor opted for co-living space after moving to San Francisco for a job opportunity. After looking through expensive properties and pricing out more than a dozen Airbnb rentals they found the co-living space “Common”. Now they’re one of several couples who stay in the co-living space. Young entrepreneurs and millennials want the flexibility to move as their work and professional situation changes — for many that can happen quickly. That makes a long-term lease less than ideal, but in areas of high demand it can be hard to find rental property with short term lease options. At the same time, young professionals don’t want to live out of a hotel room. 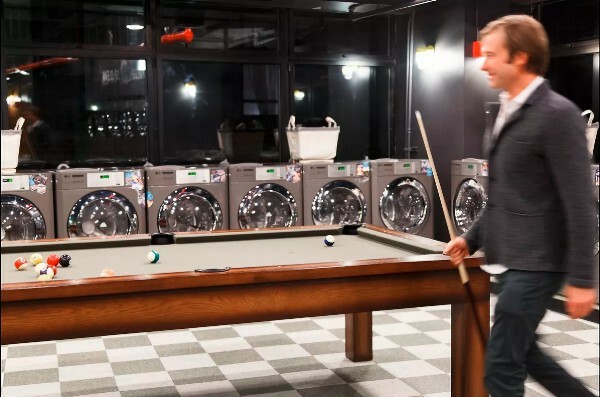 A perk of co-living is that the spaces often come partially furnished with the kind of amenities often seen at hotels which can include shared supplies and included utilities. Despite living space being split for the purpose of private sleeping quarters there’s a certain “comfort of home” appeal to co-living. Like other types of communal living the primary living spaces are shared which includes bathrooms, dining areas, living room and recreation areas, laundry, meeting areas, etc. In the case of co-living this is one of the biggest draws for many professionals. They’re able to leverage the living space to create strong human connections both personally and professionally and that is made easier by a space where you sit and share the same table for dinners or shred work spaces. For professionals new to an area this can make it easier to connect with new people and make friends — especially when the co-living space sponsors and hosts events specifically intended to forge connections and improve the social aspect among residents. Up until recently the co-living space owed much of its growth to entrepreneurial startups like Common, Cohabs, HubHaus, and even the WeLive co-living extension of the WeWork (coworking) brand. Today, the hospitality industry has taken note of the growth. 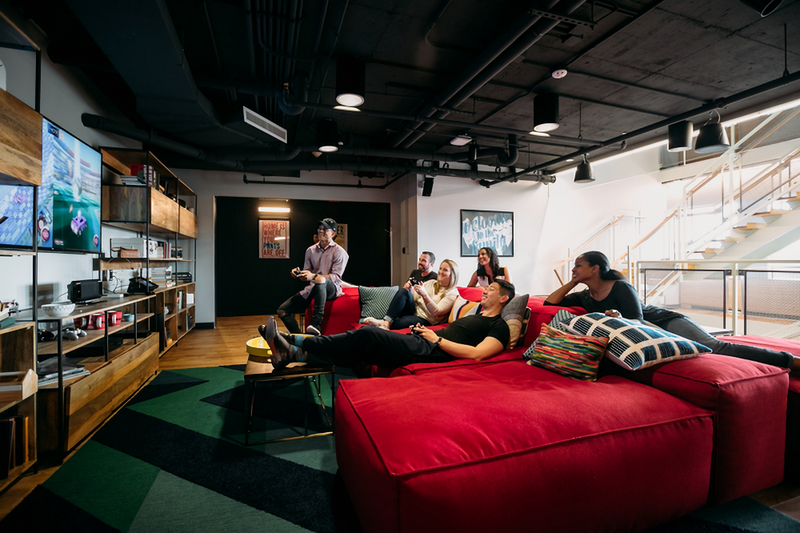 And these co-living spaces and startups, including WeWork’s “WeLive” concept, are positioning themselves to become a major player in business while also providing much-needed relief to people — more living space for less money, especially in key cities and regions for professional growth and development. But money isn’t always the driving factor when residents choose co-living over other housing options. IKEA recently teamed up with New York-based firm Anton & Irene to survey more than 7,000 people from around the world. The goal: find out how people would like to live in the future (2030). While the survey itself was originally intended to be playful research it revealed interesting findings about new trends in living and what people really desire in the new future. The majority of respondents said they preferred smaller diverse communities for co-living, in the range of 4 to 10 people “because we want to socialize, but not that much”. Co-living continued to win favor but with conditions: living with other singles was ideal. Coupled were acceptable but no children. Residents would rather co-live with pets than kids or teenagers. Respondents preferred shared duties over having things done for them, including lending a hand with cleaning. They were also happy to share internet access, utilities, gardens, and workspaces. Sharing bathroom space? Not so high on the list. People also aren’t keen on sharing bedrooms. That backs up the information I shared earlier where people in co-living situations love the benefit of mingling with others while still maintaining their privacy. The largest concern among those currently in a co-living situation or desiring that in the future was and remains ‘privacy’, or a lack of it. 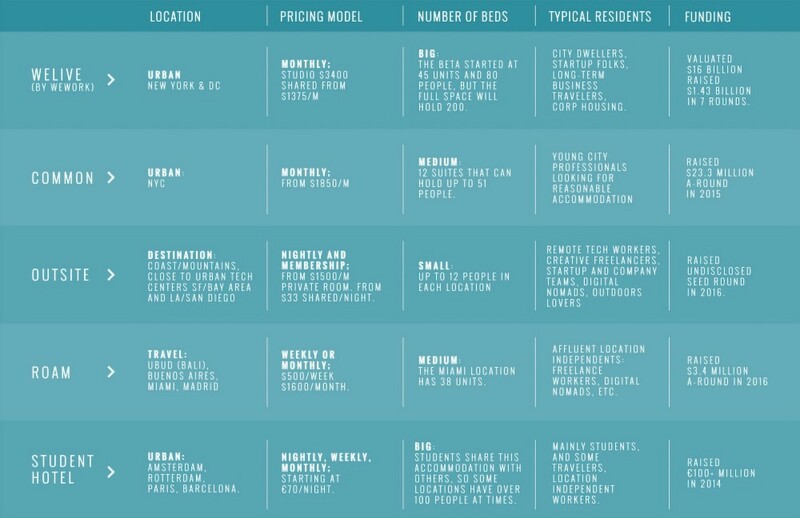 That’s data these brands and startups should take into account when trying to balance communal areas and private spaces that allow residents to segment themselves as needed. Other data discovered by IKEA’s survey painted a clear picture about who residents want to share space with when co-living. At the top of the list were ‘honest, tidy, and considerate house-mates. Controlling who you live with in a communal setting isn’t something that’s common. While many of these privately-owned co-living spaces handle individual resident approvals that’s not what people want. While residents are drawn to the social and connection benefits of this kind of space they have a strong overall desire for a democratic process — which would include community voting on rules and rule enforcement, accepting new residents, etc. What’s the next trend in co-living? Seeing WeWork breaking into the space with WeLive is an indicator that co0living is catering to a very specific audience segment among those looking to rent — remote workers, freelancers, and independent professionals. That’s why we’re seeing the progression of co-living spaces that either incorporate communal and shared workspace or work in close proximity to co-working spaces. There’s a distinct advantage for professionals who subscribe to this lifestyle where co-living and co-working meet. No Commute: There’s a certain amount of pleasure knowing that you have zero commute to go from where you sleep to where you work. Spending a portion of every day trying to navigate traffic is not how independents want to spend time and money. In this situation you don’t even have to spend on public transportation let alone a vehicle and associated costs. It’s Cheaper: As far as co-living goes this is the cheapest solution. Rather than paying for your living space and then a second subscription to a co-working space offsite your costs are all rolled together into a single monthly payment. No Opening Hours: This is a major issue for professionals who utilize co-working spaces — they aren’t open 24 hours a day. For those of us who thrive creatively at odd hours that can cramp your work. When you score a co-living space with attached or included shared or communal work-spaces you can work at any time day or night — when you need to shine. Fan of travel: For those who want to do more traveling and embracing the lifestyle of the digital nomad, these types of mixed facilities are like “working resorts” for remote workers. It makes it easy to pack up, pick a destination with a co-living and co-working community, and grow a few roots until it’s time to move again. We’ll continue to see more co-living space spring up, each serving different audiences. 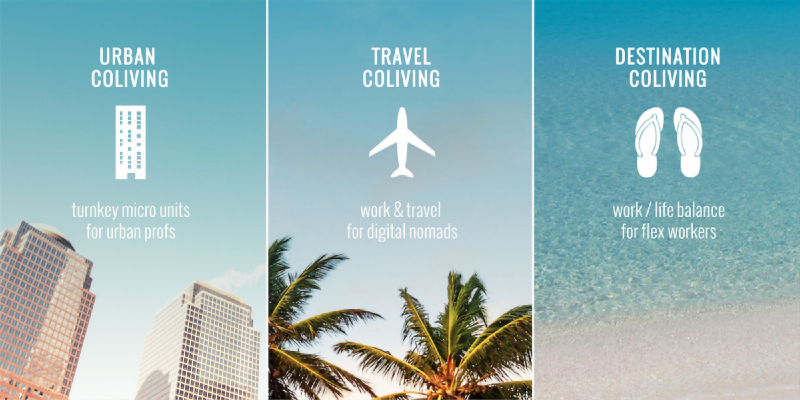 Some will be geared strictly toward the average residential renter while others provide amenities and other offerings designed to target remote workers and young professionals embracing the digital nomad lifestyle. The co-living spaces to watch out for will be those offering more comfort, more flexibility, a larger focus on community development and working to embrace more diversity. Above all else, keep tabs on the co-living spaces that focus on transparency — no hidden fees or expenses, clear community guidelines, etc.